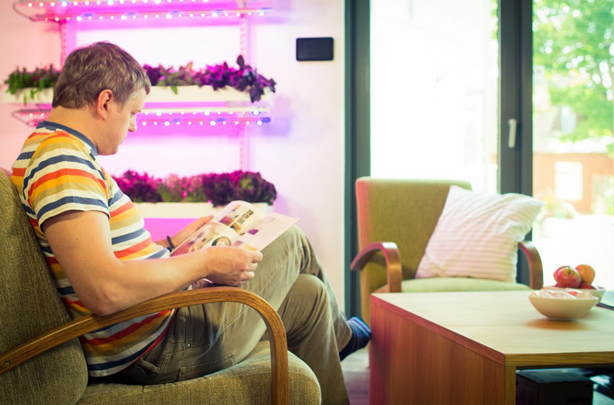 Click n’ Grow, the smart planter we’ve featured before, just got smarter. The micro-farming system already had electronic sensors operated with software to measure the plant’s needs and release precise amounts of fertilizer, air and water. 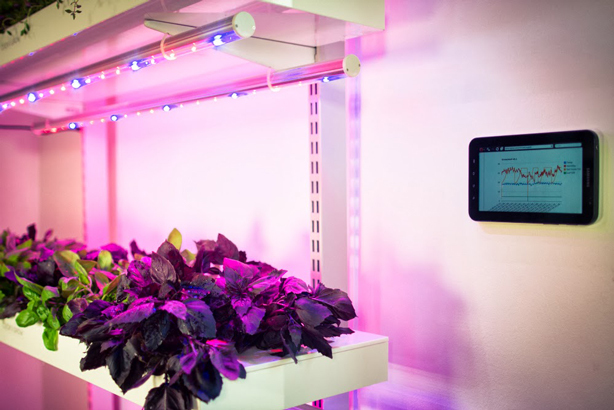 But now they’ve got you controlling your edible garden from afar by introducing the Smart Farm, a scalable high tech food growing system whose software can be controlled over the internet. Smart Farm combines the “smart soil” that incorporates nanotechnology and a sensor-based software system to encourage optimal plant growth. Using biomimicry, Click & Grow’s technology lets plants grow naturally, they say, in the even the most difficult conditions. Plants require no additives or fertilizer as the system contains oxygen pockets and supplies plants with an exact amount of nutrients according to the plant’s growth cycle. “With the rise in food prices and the insufficient availability of fresh and healthy dietary choices, there are close to 870 million malnourished people worldwide,” says Mattias Lepp, Click & Grow’s Founder. And although Lepp admits they have a long way to go, they hope their Click n’ Grow family of planters represents a step forward in reaching that goal. 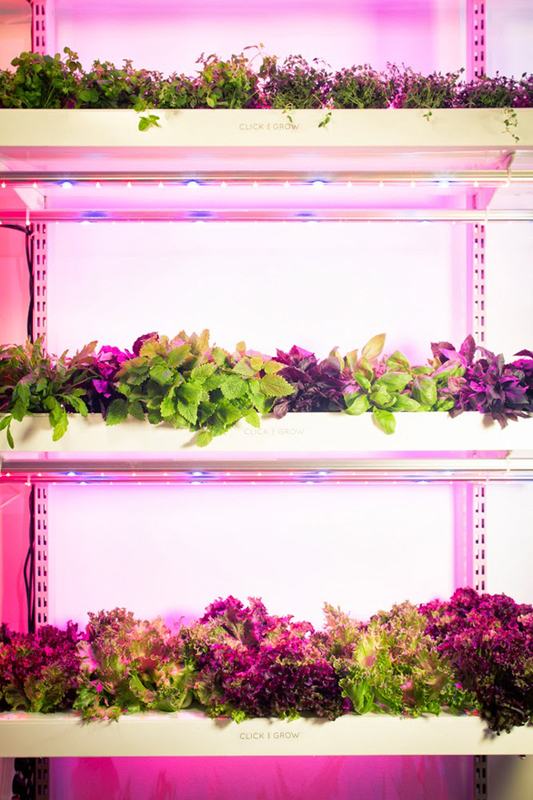 Smart Farm, the company says, will be scalable to accommodate a wide range of needs from a small 10-unit plant system to a farm with millions of plants. 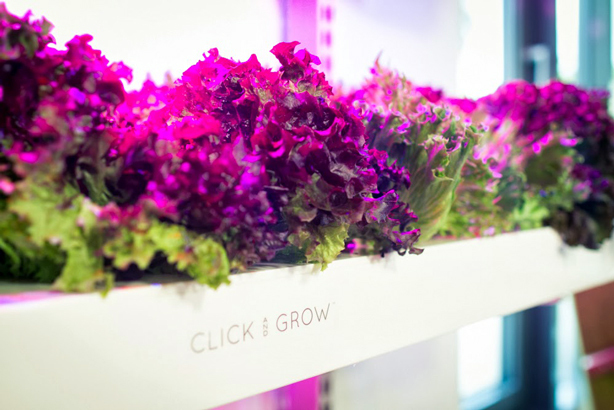 Click n’ Grow’s team foresees completely changing the way people consume produce at home and believe Smart Farm has the potential for bringing fresh food to schools, restaurants, hotels, container farms. Prototypes are currently in testing and Click & Grow expects the final product to be released in March of 2014.